Transparency is what the gold industry needs, and blockchain is the solution to deliver it. Jinbi Token, a Switzerland and UK-based gold-backed blockchain company, is set to transform the security of gold assets through a crowdsale beginning on Friday June 1 2018. 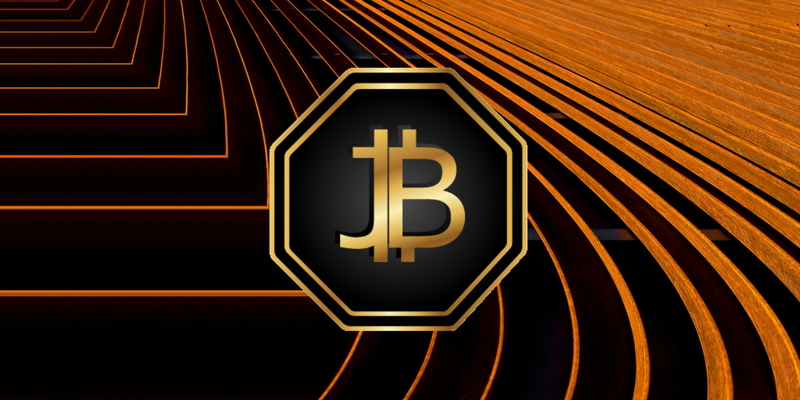 There will be a pre-sale starting on Tuesday May 29 2018 where 1.25 million Jinbi Tokens (JNB) will be available to purchase. Co-Founder of Jinbi Token Andre Rafnsson, “Today, people who wish to buy twenty-four carat gold face a number of challenges. For example, where do people go to buy gold and how do they know if it is authentic? Is the gold from a trusted source? How would they store it? How do they get access to it? The list goes on. Jinbi Token will be the first token to be partnered with a gold mining company. Each token will be assigned gold via smart contracts, meaning that every piece of gold will be accounted for. Participants will be able to see where their gold is and the exact value of the tokens at any time. Blockchain technology provides an easy, safe and simple way to transact in an efficient, anonymous and high frequency manner. Jinbi Token will also hold quarterly audit inspections on the quantity and quality of gold stored in vaults. By doing this, the company ensures proper and correct accounting is upheld. In addition to this, Jinbi Token will use cryptographic security, meaning only those within the supply chain are able to view the details. Those taking part will be provided with transparency, so they can have a precise understanding of the location of their gold. Andre Rafnsson continued, “Our expectation is to have 150,000 ounces of gold linked to smart contracts by 2019. All bars produced are twenty-four carats with a fineness of 999.5. They will all be delivered brand new and will be stored in various sizes, from 5g to 12.5g. Once the gold has been allocated, it can then be delivered or stored. For more information about Jinbi, please visit https://jinbitoken.io. Andre Rafnsson is available for an interview upon request. Media information provided by Famous Publicity. For more information, please contact Mason West mason@famouspublicity.com, Josh Balmer at josh@famouspublicity.com or Tina Fotherby at tina@famouspublicity.com or call 0333 344 2341. Based in Switzerland with offices in London, Jinbi is a gold investment platform built on the Ethereum blockchain. By using blockchain technology, Jinbi Token allows individuals to trade gold in a secure peer-to-peer system to share the profitability of gold production. Jinbi has partnered with the team at Pillar Project to store all tokens in the secure Pillar wallet. The business is managed through a team of eight experts with an array of experience in technology and the gold industry. The company will launch its pre-sale on May 29 2018, with the main ICO launching on Friday June 1 2018 and it will run until Thursday June 29 2018. There will be a total of 1.25 million tokens available to purchase for the pre-sale. This will take place by sending a combination of a smart contract and an ether address by email, detailing instructions to the investor on how to participate in the sale. The company is aiming to raise $88,000,000.00 across the 29-day ICO to the public and will mint a maximum of 8.75 million tokens. Of these, 10 million tokens (equivalent to 80% of the total) will be available to the public, and 2.5 million tokens (equivalent to 20% of the total) will be available to management. All unsold tokens from the pre-sale and the main ICO will be iced for two years using a smart contract. After this period, the tokens may be sold, re-iced or burned dependent on a collective decision made by the Jinbi management team. Full instructions on how to participate in the pre-sale and main ICO can be accessed through the main website. As Co-Founder of Jinbi, Andre Rafnsson has over 20 years' management experience within the pharmaceutical and medical industry and most recently the biotech sector. He is primarily responsible for Investor Relations and Business Development at Jinbi. Andre has a strong interest in physical gold and silver and has been actively investing in the resource industry for the last 10 years. Andre who is fluent in five languages (English, Icelandic, Russian, Danish and Swedish) and has international experience in the EMEA region. As Co-Founder of Jinbi, Joseph Crawley is an experienced manager in base and precious metals, trading and mining. He has also been involved within the commodities, mining and finance sectors for over 10 years. Joseph has previously managed mining projects and JVs in Turkey and Ghana. Joe is responsible for the Gold Mining Operations and Corporate Strategy for Jinbi. This press release was distributed by ResponseSource Press Release Wire on behalf of Jinbi Token in the following categories: Men's Interest, Leisure & Hobbies, Women's Interest & Beauty, Consumer Technology, Personal Finance, Business & Finance, Media & Marketing, Computing & Telecoms, Transport & Logistics, for more information visit https://pressreleasewire.responsesource.com/about.